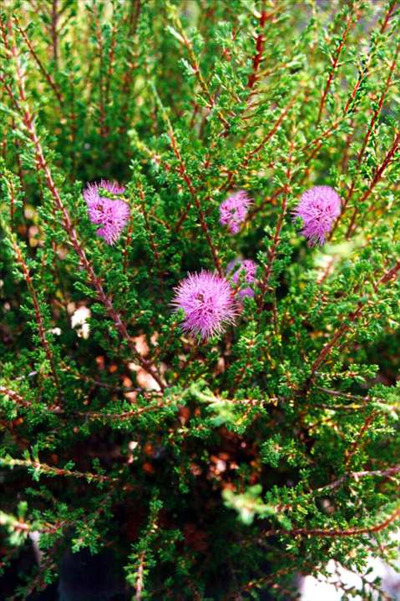 Attractive low spreading shrub with pink-mauve flowers. Grows in well-drains soils in most situations. Benefits from regular pruning to keep compact. Excellent container plant. attracts hummingbirds.